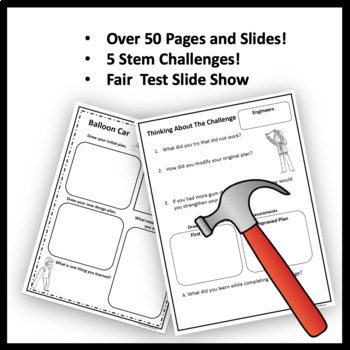 Students will love these STEM Challenges! Teachers will love that the materials are inexpensive and easy to find. 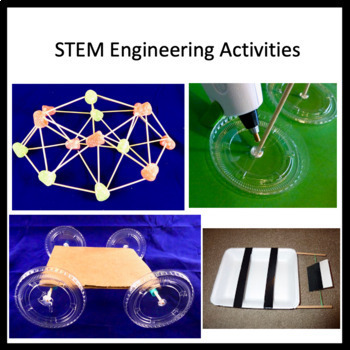 In this second set of STEM challenges, students will experience different challenges than in STEM Engineering Challenges Set One NGSS STEM Engineering Challenges 3-5-ETS1-1, 3-5-ETS1-2 and 3-5-ETS1-3 All of these challenges can be used separately and in any order. NGSS STEM Engineering Challenges for 3rd through 5th grade! Students will watch a slideshow about Fair Tests and variables. Students will learn about fair testing, variables and design thinking. Students will create a prototype, test it and record the results, students will then adjust the design by changing the independent variable. Test the new design and record the results. 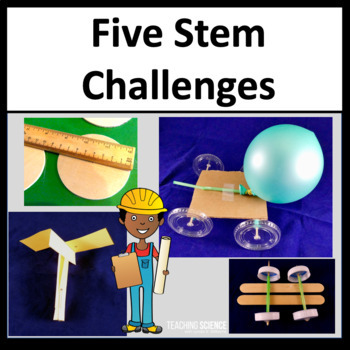 This resource includes 5 different STEM challenges. Each challenge has a detailed lesson plan with photos of student work samples. Response pages are included. Tips for teachers, questions for discussion and BIG Science ideas are included for each challenge. Students will use critical thinking, collaboration, communication and creativity in these fun activities. Great for STEM camps, Science Camps, Summer Science, After School Programs and in class activities. This resource is designed to meet the NGSS standards for 3rd-5th grade. 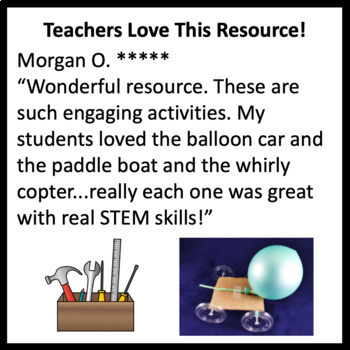 See other resources for NGSS Engineering!